This workshop will take you through time to a medieval kitchen. Kerstin will talk about and demonstrate cooking food as it was done in the middle ages. You will learn what people ate and how they cooked without modern appliances. You will get the chance to get a look at some medieval kitchen equipment and sample some tasty medieval food. 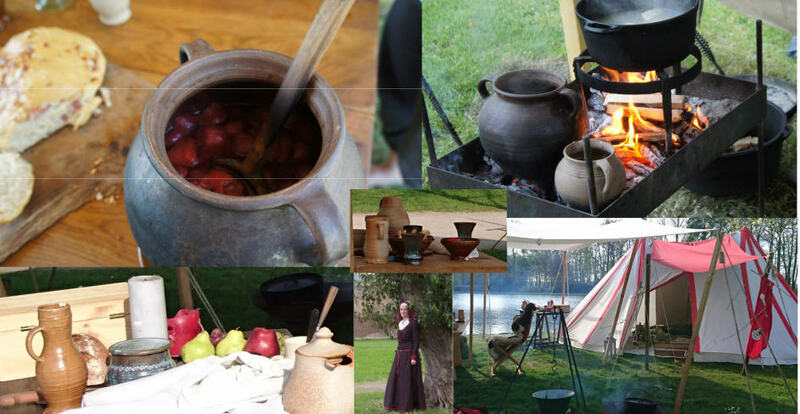 Kerstin has more than 10 year’s experience cooking on medieval re-enactment camps. Radical Bakers has focused workshops, live music, a bar, a fully catered option and loads of activities. Have a look at our workshops page or check out the live music. Book now through our Tickets page.